The Sippers, plant watering system mimics a plants natural environment by delivering water directly to the plants capillary roots. Providing much needed humidity as in a tropical environment. 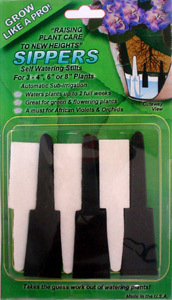 Use with blooming and tropical foliage plants for amazing results. For use with 4", 6" or 8" nursey pots. Each pak is enough for three plants. 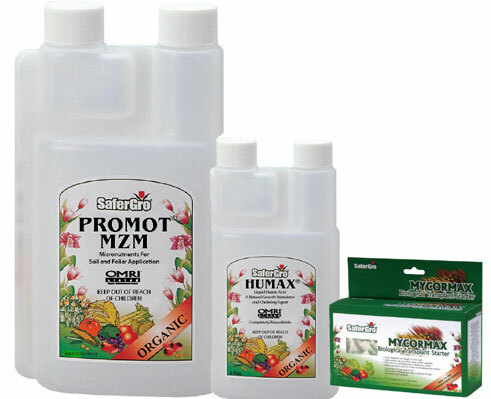 All natural OMRI Registered Organic Nutrients and Pest Solutions for your organic garden, greenhouse or hydroponics garden. SaferGro Labs has a full time staff consisting of four PhDs including a Plant Physiologist, Organic and Physical chemists and an Entomologist; each with over 20 years of experience in their fields. These highly specialized professionals are augmented with technical support personnel in the fields of Crop Science, Soil Science, Microbiology, Plant Nutrition, and Environmental Horticulture. Silkbrite silk plant and flower cleaner is formulated to remove dirt and dust from fabric plants and preserved plants and flowers. Silkbrite can be used safely around live plants and flower beds, and it is ideal for high traffic spots in hotels and casinos. The product is best applied through a pressure sprayer directly on a silk plant or flower and left alone to air dry. A new addition to Leaf-Tek's product line, Foliglo is an emulsion plant shine. This concentrated product hides calcium and hard water deposits. Foliglo can be mixed at different ratios for a natural shine to a bright shine. 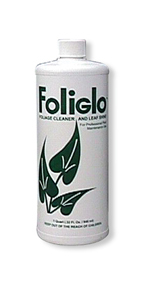 Foliglo can be applied through a pressure sprayer or trigger sprayer. Super economical, one quart of Foliglo will make up to 16 gallons of product. Also available in 5 gallon concentrate pails. Buy in bulk and save. 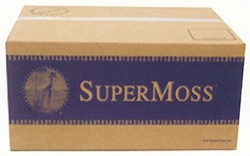 This is the famous Fresh Green WET USE Super Moss... Simply the best in the Industry. Avg. Coverage 20-24 sq. ft. per box.